BRYAN EATON/Staff photo. Port Healthcare social worker Betty Sloban visits with John Callahan, 90, a native of Newbury and retired accountant. 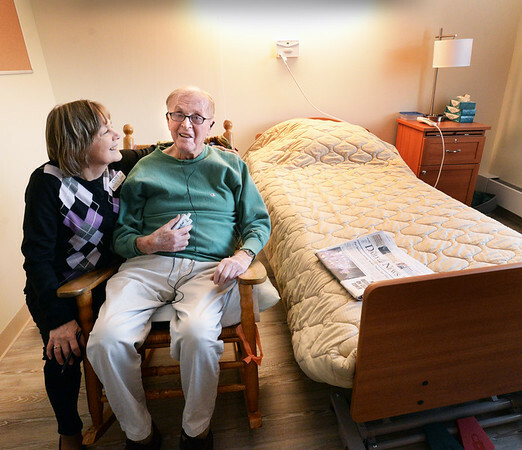 He was the first resident to be moved to the new facility on Hale Street in Newburyport.